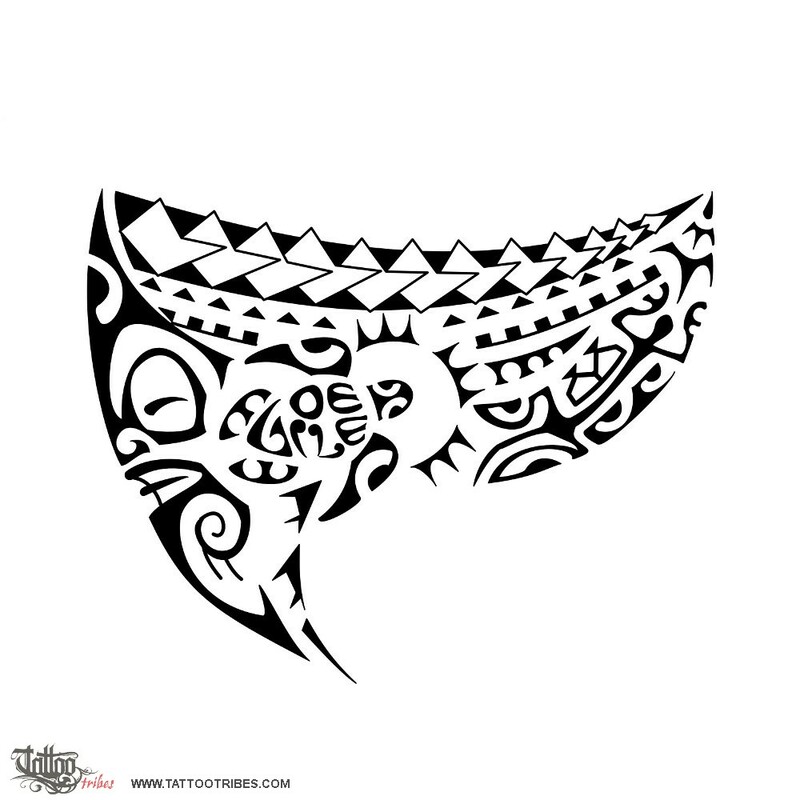 This tattoo following the lines of the pec was requested by Ugo and it includes his son&pos;s name stylized on the shell of the turtle (family), protected by a tiki on one side and by a lizard (good luck) on the other. The turtle swims toward a sun (shaped by mountains, stability) as a wish for success and positivity, with fish for prosperity. 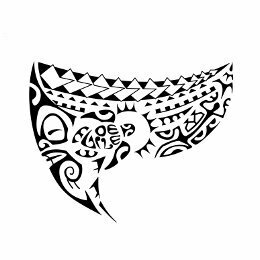 On top, the path of Kamehameha (difficulties) is faced with adaptability (shark teeth), strength (spear heads) and with the help of family (ancestors next to the lizard and chasing birds).